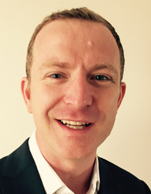 James has recently joined Braemar ACM as their lead Dry Bulk analyst in London. As well as a breadth of knowledge across the dry market, he brings first hand commercial insight having worked for many years in chartering and commodities trading roles. After graduating from Oxford University James started his career at Clarksons before moving on to spend a decade at the BHP Billiton in the Hague and Singapore. Working initially as an freight market analyst before moving into the Panamax and then Capesize chartering teams, he had a particular focus on the Chinese iron ore market. In January 2014 he joined BHP’s coal trading team with responsibility for sales of Australian and South African thermal and coking coals into Asia.